game called "Magick and Monsters." beneficial for the roleplaying hobby, at least in a small way. 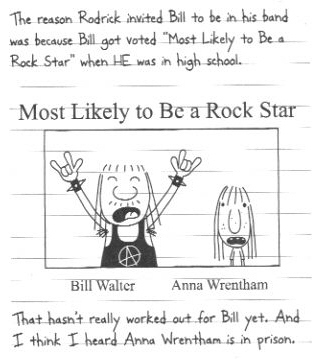 I attempted to contact Jeff Kinney, the author of the "Wimpy Kid"
I also wanted to inquire about a certain character in "Rodrick Rules"
the accuracy of the description, hinting at some mild exaggerations. home is done, but my son is quite eager to play :). dangers of Moms in gaming sessions ;)." Thanks for the story and the culture lesson, Rolf! www.addhand.com register your company and Trade with world for free. We already have our current youtube at http://www.youtube.com/quiltcityogres so that is where it will end up after the convention. can't think of anything that isn't covered by your wiki page. any d20s lying around), and some adventurous friends. library program (see Terra Libris - theescapist.com/library ).